Gold? Silver? Gold? In the past few weeks, everyone has been talking about investing in Gold. With the rising tensions in North Korea over their nuclear program development, investors are moving into safe-haven assets such as gold. In addition to that, Hurricane Irma, the strongest observed in the Atlantic since 2007, wiped out about US$2.2 billion of assets in the affected area. And with the looming debt ceiling problem in the US, fear has begun to strike among some people. Such situations often encourage investors to turn to gold to protect their wealth and I have highlighted it before in my article, “4 reasons why Gold should be part of your portfolio”. Where is Gold & Silver Price Today? There has been a rally in the gold price since July 2017, however, the past week or so saw the price of gold correcting to the 1,300 support level and seems to be nicely bouncing off that level. Silver is showing the same pattern as gold. 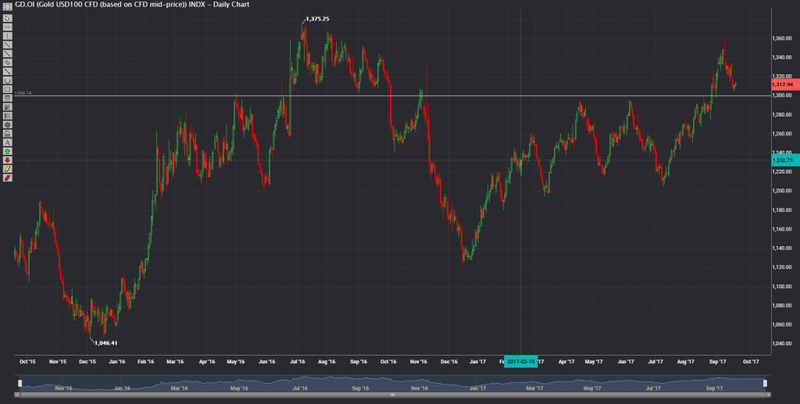 A rally since July 2017, breaking above the 17.25 level in August and have now corrected back to that level. While writing this article, the meeting and announcements had not taken place. So, you may want to check back on it. The biggest question everyone has on their minds when FED meeting comes along is, “Will there be a rate-hike?” While most of us don’t expect a rate hike till December, do note that in the past 1 year, we already had 3 rate hikes, two of which was in 2017 itself. The next one is predicted to happen between now and December. Another question that’s flying around the market recently is, “Will Janet Yellen continue to be the FED Chair?” Yes, her 4-year term is nearly up. The exact date is the end of January 2018. However, with just a few more months to January 2018, it will be difficult for her to avoid such questions. Also, she was appointed by President Barack Obama and will President Donald Trump want to work with her? As for the investors, replacing a caliber like Janet Yellen will it be good or bad? From the chart earlier, we know that the 1,300 level for gold and 17.25 level for silver are strong support levels. These are the 2 levels that investors should be looking out for. Breaking below will be a sign of bearishness and the ability to hold above these levels will get trend traders to be very excited. This is because, with an entry around 1,315, a stop loss at 1,299 and a profit target at 1,350, the risk-to-reward ratio for this trade will be about 2.1, a very healthy one. How to trade Gold & Silver? 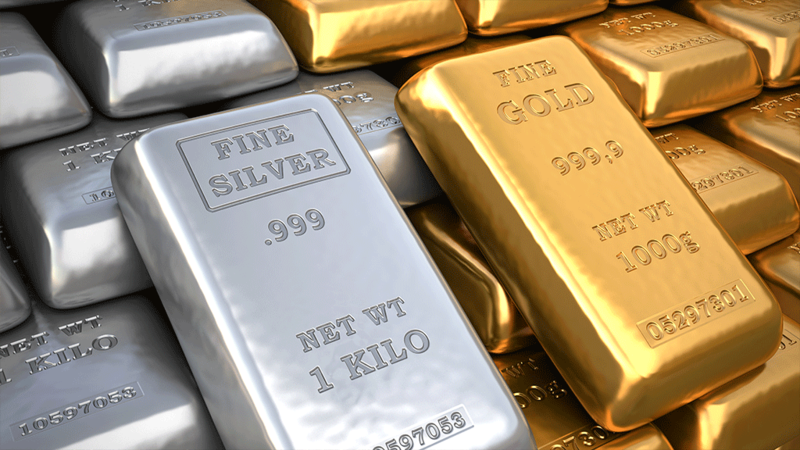 There are many ways you can add Gold and Silver to your portfolio. The most obvious one is to buy physical gold or silver. However, you will need to store it somewhere. Most people get a vault. Another method is to buy ETFs or gold mining stocks. If you need a list of these counters, please download it for FREE at the bottom of my article, “4 reasons why Gold should be part of your portfolio”. Another way is to trade the Gold Indices. Customers of Phillip who have CFD facility enabled in their account can access these counters. If you don’t have CFD facility in your account and want to enable it, please let us or your trading representative know and we will get it done for you. Enabling the facility is FREE as well. If you don’t have an account with Phillip get started HERE. It only takes 10 minutes and it is FREE as well. Congrats for reading all the way down here. As a special reward for you, we are allowing you to trade our Gold USD1 CFD and Silver USD50 CFD indices at 50% off commission for the next 2 months. In order to enjoy this promotion, simply leave your details via the contact form below. A representative will be in touch with you once the free trades has been enabled in your account. Every seasoned investor out there will tell you that gold MUST be part of your portfolio. Some say 20%, others say 50% of your portfolio should be in gold….